ensure the unity of the Chinese businessmen; safeguard the common interests, well bridging the government with the public, promoting domestic and international trade as well as economic development etc. Territorially small, yet Malacca is the oldest city in Malaysia, at the same time, Malacca is one of the country’s most popular tourism destinations, attracting both domestic and international visitors. On July 7, 2008, Malacca has been listed as World Heritage Sites under the UNESCO World Heritage Centre. Malacca Chinese Chamber of Commerce and Industry (MCCCI), formerly known as the Malacca Chinese Chamber of Commerce, founded in 1915. As the historical records and archives were lost during World War II, it is difficult to retrieve the accurate historical moment of founding, however, in the memory of the elders, the founders of MCCCI were Sim Hong Bo, Chan Jiang Swee, Tan See Hock, Tan Cheng Lock etc. The office of Malacca Chinese Chamber was set up in Tan Cheng Lock’s office located at Heeren Street. 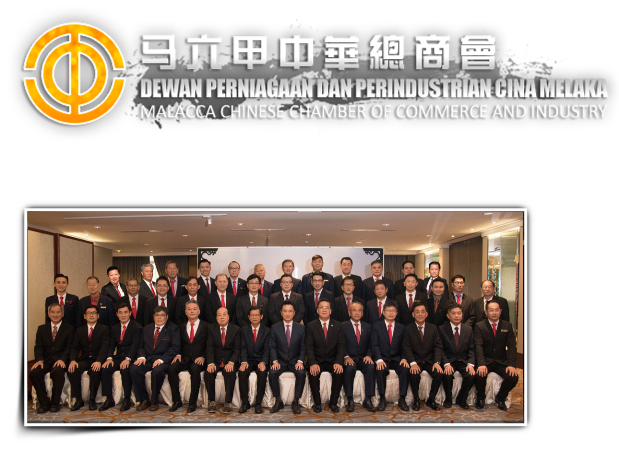 马六甲中华总商会 DEWAN PERNIAGAAN DAN PERINDUSTRIAN CINA MELAKA.